CHOLLEY Crème Tenseur Suractivée is an outstanding firming and hydrating cream that tightens and reinforces the skin of the face, chin, neck, and décolleté. CHOLLEY Crème Tenseur Suractivée facilitates the production of new collagen and elastin fibers through an advanced nanostructure, ECM moduline, whose action delivers superb results. CHOLLEY Crème Tenseur Suractivée can be used essentially on all skin types, but it is particularly beneficial for mature and flaccid skins. For particularly dry or dehydrated skins that tend to mature faster, the use of this cream can begin as early as 30 years of age. 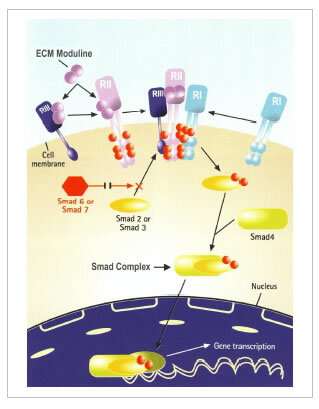 ECM (extra-cellular matrix) moduline is a high-technology molecule that binds with special receptors at the surface of the cellular membrane to kick off the production of a special protein called Smad Complex. This protein then migrates into the nucleus of the cell, where it boosts the production of the extra-cellular matrix (i.e., collagen, hyaluronic acid, etc.). Clinical tests have demonstrated the efficacy of ECM moduline in the reduction of facial wrinkles by up to 45%.